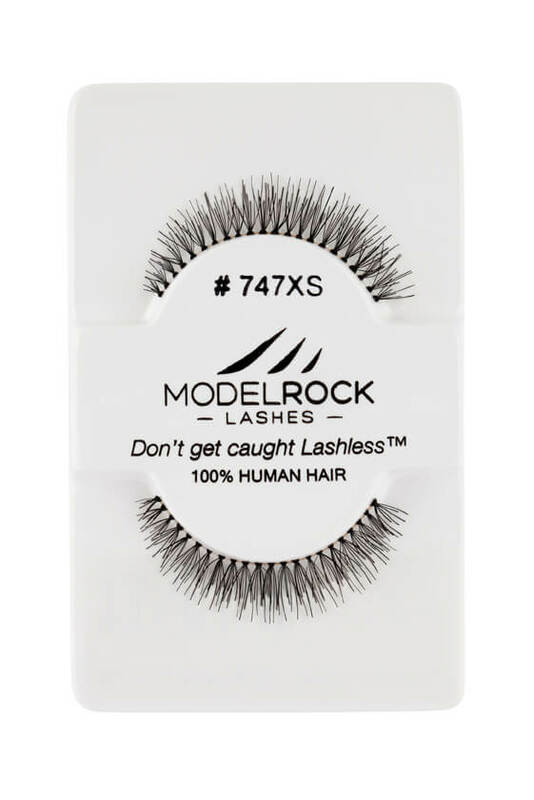 MODELROCK Lashes Kit Ready #747xs lashes are natural length hand-made with 100% natural human hair ideal for daily use. This short, subtle length falsies lashes accentuate your natural eyelashes for dose of natural flare, depth and moderate volume. MODELROCK Lashes Kit Ready #83 lashes are hand-made with 100% natural human hair with subtle yet volumeous look for everyday lash look. Style is comparable to Red Cherry 83 Lashes. MODELROCK Lashes Kit Ready #DW are fluffy 100% human hair wispy style lashes, perfect lash style to have for your Professional kit for those "Brides to be" or gorgeous lash look! Style comparable to Red Cherry DW Lashes and Miss Adoro False Eyelashes #DW. 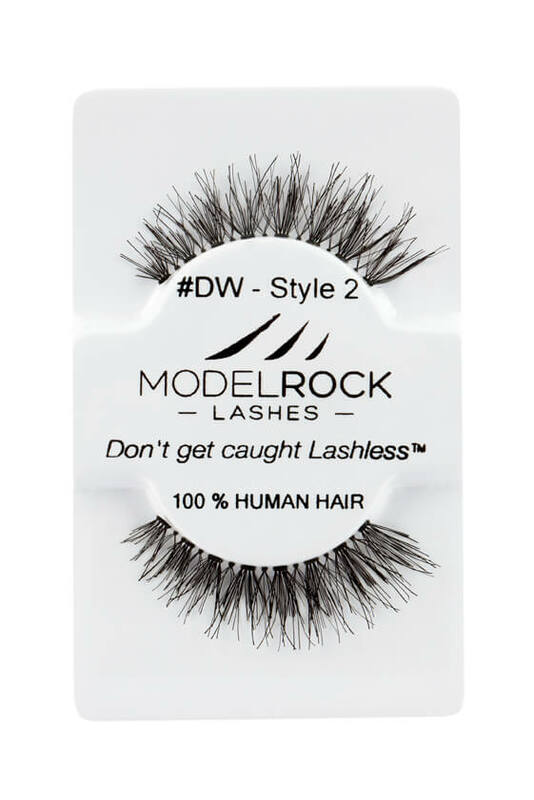 MODELROCK Lashes Kit Ready #DW - Style 2 are fluffy 100% human hair wispy style lashes, perfect lash style to have for your Professional kit! DW Style 2 lash has dense base to enhance the dimension to your eyes. This style is perfect for all eye shapes and especially monolids. Style comparable to Red Cherry DW Lashes. 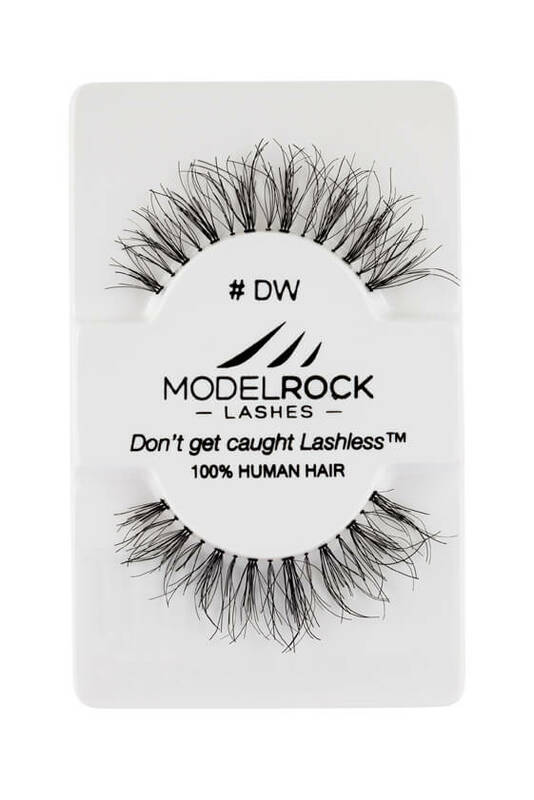 MODELROCK Lashes Kit Ready #DW - Style 3 are fluffy 100% human hair wispy style lashes with a super flexible lash band, perfect lash style to have for your Professional kit! 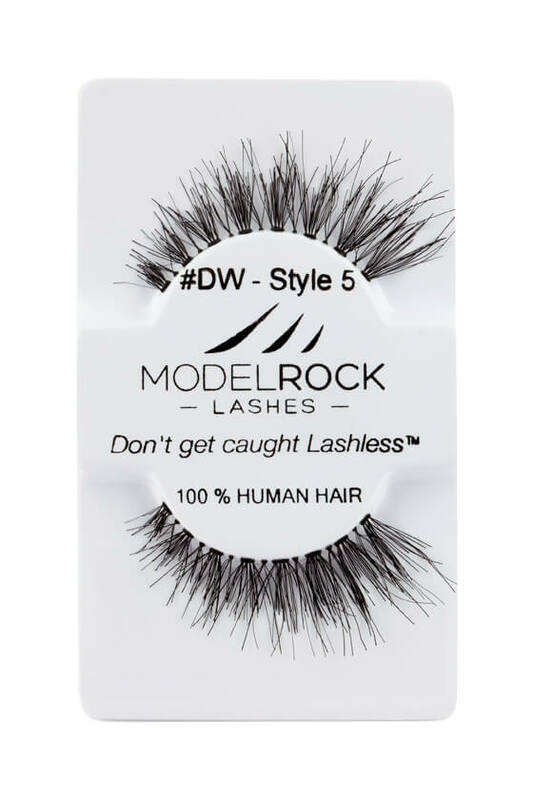 MODELROCK Lashes Kit Ready #DW - Style 4 are wispy style 100% human hair lashes with a super flexible lash band. Style has graduated outward lash flair for extra attention! 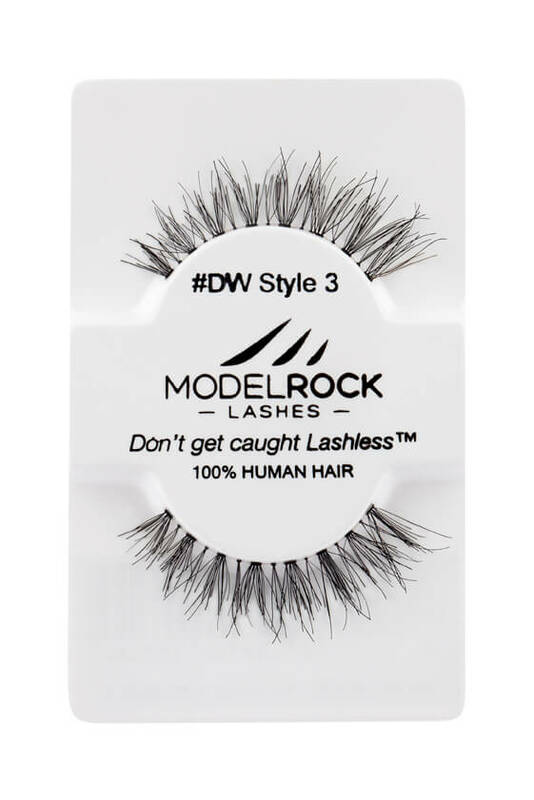 MODELROCK Lashes Kit Ready #DW - Style 5 are fluffy 100% human hair wispy style lashes with a super flexible lash band. Style has side outward lash flair for added effect! 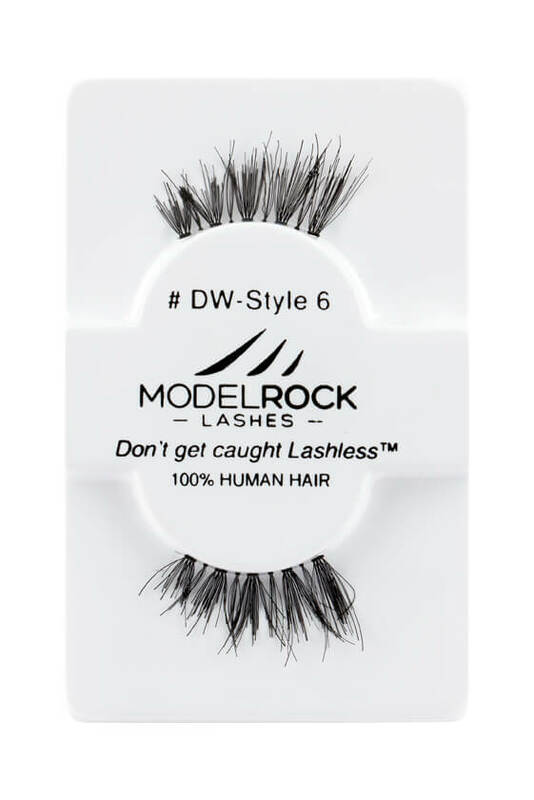 MODELROCK Lashes Kit Ready #DW - Style 6 are fluffy 100% human hair with a petite and graduated natural wispy look. It is a gorgeous natural everyday style lashes. MODELROCK Lashes Kit Ready #W376 lashes are wispy style 100% premium hand craft false eyelashes with gorgeous criss-crossed design to accentuate your eyes with flutter for everyday glam and photo-shoot. Pro-Tip: Try "Double up these lashes by stacking 2 pairs to get that extra Va Va Voom lash look! 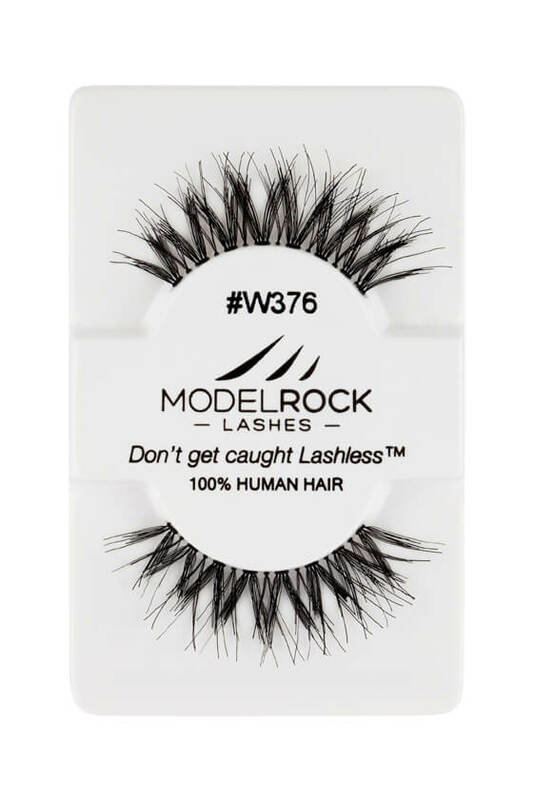 MODELROCK Lashes Kit Ready #W376s lashes are the shorter version of Ready Ready #W376 wispy style lashes. These 100% premium hand made eyelashes are demure and peptite in length while providing the gorgeous criss-crossed design to accentuate your eyes with natural flutter for everyday glam! 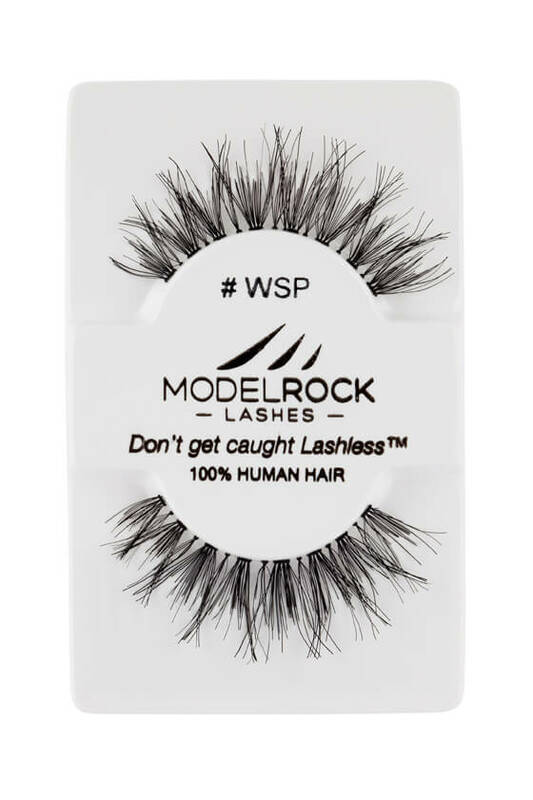 MODELROCK Lashes Kit Ready #WSP are moderate volume 100% human hair wispy style lashes featuring a sultry criss-crossed with graduate length. These fake eyelashes offers accentuate flair with good amount of drama for a versatile and seductive look. Style comparable to Red Cherry WISPY Lashes WSP and Miss Adoro False Eyelashes #WSP.